Take a moment to think about how many demands we make of our nurses. We’re constantly asking them to do more with less. Care for more patients in less time. Improve the quality and the safety of the care they’re providing, while simultaneously asking them to be more efficient. We expect them to engage their patients, educate them about their conditions, and ensure that they’re satisfied with their care experience. And we make all of these demands in the midst of nursing shortages and (at many organizations) mandatory overtime. Wouldn’t it be great to actually give something back to our nurses instead of constantly asking for more from them? We’ve done that at King's Daughters Medical Center. The rollout of the Nursing Point of Care (POC) solution at our organization has been one of the most gratifying clinical IT projects I’ve ever been a part of — and it’s especially rewarding to me, as a nurse myself. Often, when you tell a clinician you’ve got a new technology that will make them more efficient, you’re met with a blank stare — or perhaps an eye roll. 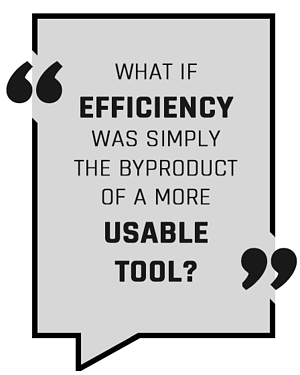 That’s because discussions about efficiency have typically been shorthand for “reimbursement is declining so we need you to do more in less time,” or, "there’s a new federal mandate we need to comply with.” But what if efficiency was simply the byproduct of a more usable tool? What if we put the focus on giving clinicians software that’s easier and more enjoyable to use, and it just happens to make them more efficient? That’s part of the mentality we brought into our nursing Point of Care project at KDMC. By simply giving them the option to use MEDITECH’s Expanse Point of Care solution and not demanding that they use it, something remarkable happened: We registered 80% adoption rates in some areas immediately, with at least one group of users at 100% within two weeks. We all know that people are reluctant to change their behaviors unless it benefits them personally. Clearly their motivation was not simply to improve their efficiency for our sake. They enjoy using the product and find it easy to use. Recently our Chief Operating Officer told me he was stopped in the hallway by a nurse who wanted to tell him how well the new solution is working. Our CEO received an email from another nurse thanking him for making it possible. Common feedback from both nurses and therapists includes “I really love it” and “it cuts my time in half,” which seems to point directly to its usability and efficiency. As a practicing nurse myself, I can confirm that it is indeed easy and enjoyable to use, and it really does cut our time in half. Our previous method of bedside verification, for example, was safe but not very efficient. Our new workflow at the bedside literally takes half the steps to administer a medication. So who benefits from this kind of improved efficiency? The organization, of course, and our nurses as well; but patients are seeing huge benefits, too. For starters, we’re no longer having to turn our backs on them to fumble with our COWs or WOWs — we’re facing our patients with nothing but a handheld device between us. We use it to scan the patient’s wristband, scan the medication, perhaps enter a few vital signs — we can even use it to review orders and lab results, and receive alerts for critical or abnormal values. Since nurses are often the primary “face” of care to patients, it’s enormously valuable to be patient-facing the entire time. People don’t become nurses because they want to collect a lot of data and put in into an EHR. We go into nursing because we care about people, and want to provide care to people. 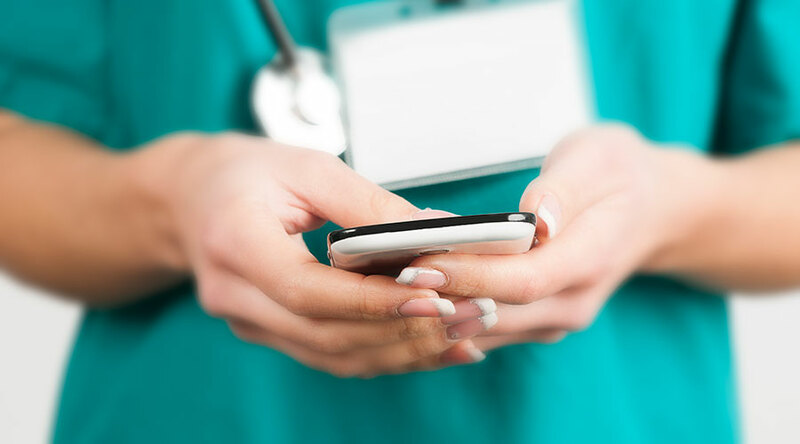 Of course, the EHR has become an essential tool for ensuring safe, high quality care, but we can’t let it interfere with the connection we have with our patients, and we certainly shouldn’t be spending more time interacting with it than with patients. I think that’s probably what’s been most heartening about this project. It’s helped our nurses renew their enthusiasm for nursing and strengthened their engagement in their work. I encourage all organizations to think about how they can give something back to their own nurses. Implementing an effective Point of Care solution is a great place to start. Make sure the solution runs on a mobile handheld device that includes a built-in barcode scanner for identifying patients and medications. Ideally the same device can be used for alerts, results, and even clinical communications. A POC solution shouldn’t try to solve every problem or be used for every type of task. You don’t want a shrunken down version of the entire chart. Instead, look for a solution that simplifies and streamlines common tasks that don’t require significant data entry, like med administration and reconciliation, routine vitals, rounding, and I&O. It’s important for a POC solution to be as integrated as possible with your existing EHR, and any data entered should be accessible in the patient record in real time. Watch this webinar to hear Joe Farr, RN, Clinical Applications Coordinator, share more about King's Daughters Medical Center’s experience as an Expanse Point of Care early adopter. Joe Farr leads the clinical division of the Information Technology Department and served as a Physician Systems Coordinator for the organization’s Physician Advisory Committee for EHR implementation and updates. He's responsible for coordinating the resources and talent to respond to service requests and organizational projects, and he answers directly to the CIO and the organization’s Information Systems Steering Committee. Joe began his career at King’s Daughters in 2002 and has continued to work as an ED nurse even as his role as an informatics leader has grown.